Providing you the best range of matt black side gusset bags, shiny black pouches without zipper, matt black pouches without zipper, matt white pouches without zipper, shiny white pouches without zipper and shiny gold side gusset bags with effective & timely delivery. 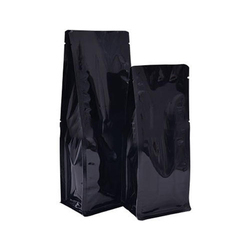 Matt Black Side Gusset Bags manufactures side gusset bags which are available in various colors, sizes and materials. 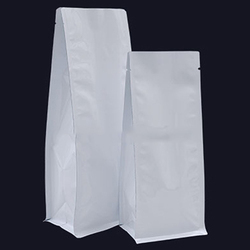 Gusseted bags are a modern, flexible and convenient packaging solution for various products from different markets. We provide unique and effective designs for our gusseted cello bags. The materials used within the production process of our bags can be able to ensure that they are safe for all the products. 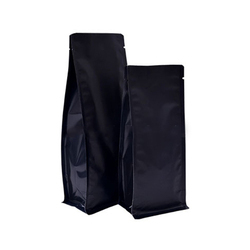 We provide gusset bag with valve which are best used for coffee packaging for ensuring the durability of a package and freshness of products.We also provide custom printed side gusset bags, for which we utilize the rotogravure technique for printing up to 9 different colors.The side gusset bags are manufactured by using either laminated, metalized or aluminium films for enhancing the durability of the bags. It also helps for heightening the capability of preserving the products for a long period of time. These materials assist with elongating the shelf life of the commodities. 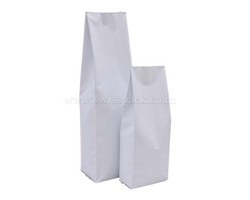 You will find less possibility of breakage in comparison to glass packaging.Our gusseted bags are self standing which makes it shelf friendly and consumer luring. The custom printed side gusset bags vibrantly and visually display your company branding and product information which is an effective marketing tool for your products as well as your brand.Side gusset bags include an option of a matt, shiny or gloss finish. 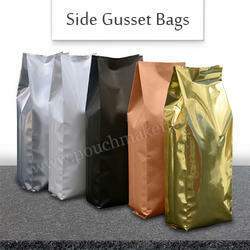 Size variations can be available for our gusseted bags. Our bags with window assist with clear visibility of the products and consumers will be tempted to buy the products packaged in the bags. So it is a flexible, cost effective, highly durable and innovative packaging solution for your products. Bags and Pouches Singapore provides flat bottom pouch that became well-liked owing to their attractiveness, flexibility and sturdiness. These pouches became an efficient promoting tool because of their distinctive and hanging style. This distinctive vogue is extremely a lot of enticing and interesting for shoppers and helps you in generating a lot of sales. Pharmaceutical product and lots of alternative similar product. Our flat bottom pouch is that the newest and innovative quite pouch vogue that is obtaining a lot of noted for food packaging corporations. it’s styled in such a fashion that the facet gusset and therefore the bottom gussets are a similar that makes a box like design. And it’s the distinct advantage that it holds quite alternative kinds of packaging. Because of their enticing look and convenience, these pouches are becoming a lot of and a lot of well-liked. Our flat bottom pouch is offered in several sizes, colors and dimensions. These materials offer flexibility and sturdiness to the product prepackaged.We additionally use metalized and tin foil layers for manufacturing our flat bottom pouch that provides a high barrier against contamination and helps in elongating the time period of the product.We additionally offer custom written flat bottom pouch up to nine colors by utilizing the rotogravure technique.We build use of the newest technology for manufacturing our flat bottom pouch and supply highest quality pouches. Transparent windows that gives a lot of convenience to shoppers. Our flat bottom pouch with window facilitates shoppers for viewing the product before deciding to shop for them. With the assistance of the degassing valves, the freshness and fragrance of the product are preserved. Nutritionary data is vibrantly and visibly displayed on our pouches that is a lot of convenient for each the retailers and therefore the purchasers. Your product become a lot of noted due to the conspicuous tool in shops and it’s a perfect packaging answer for promoting your product within the world market. We are offering Matt Black Pouches Without Zipper to our clients. We are offering Matt White Pouches Without Zipper to our clients. We are offering Shiny White Pouches Without Zipper to our clients. We are offering Shiny Gold Side Gusset Bags to our clients. 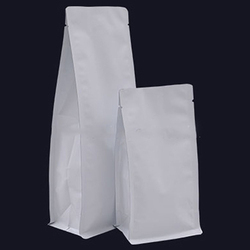 We are offering Matt White Side Gusset Bags to our clients. We are offering Matt Gold Side Gusset Bags to our clients. 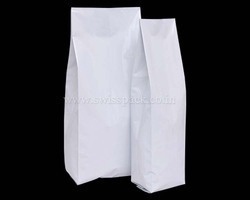 We are offering Shiny White Side Gusset Bags to our clients. We are offering Brown Paper Side Gusset Bags to our clients. 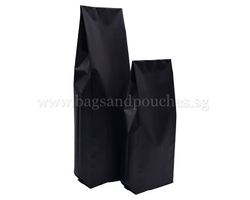 We are offering Shiny Black Side Gusset Bags to our clients. We are offering Matt Silver Side Gusset Bags to our clients. We are offering Side Gusset Bags to our clients.